Retail stock now being sold in Cygnini! All with key active ingredients such as retinol, collagen and vitamins – perfect for complimenting your in-clinic treatments. 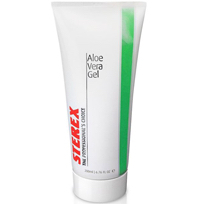 A quickly-absorbed, cool and soothing gel from Sterex. Recommended for use after electrolysis treatment but also suitable after waxing, sunbathing, sunbed use and for general moisturising. With a refreshing lemongrass fragrance. Contains 95% liquid extract of aloe vera. Perfect for application to sensitised areas after laser hair removal or other aesthetic treatments. Leaves skin firm and smooth. An intensive treatment saturated with a potent Vitamin A enriched formula to improve the look of skins firmness and tone, while minimising the appearance of fine lines and wrinkles. The mask adheres to the face for targeted treatment and visible results. For best results, use 2-3 times per week. 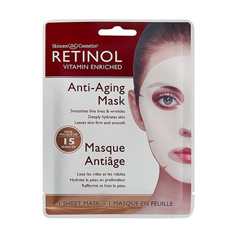 Youth enhancing sheet mask infused with an anti-aging serum helps target fine lines, wrinkles and loss of firmness. 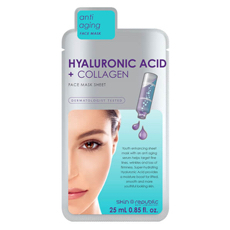 Super hydrating Hyaluronic Acid provides a moisture boost for lifted, smooth and more youthful looking skin. Relieves the appearance of tired, swollen and puffy eyes. Diminishes fine lines, wrinkles and dark circles. 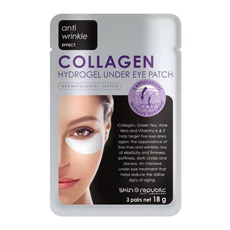 Hydrogel adhesive patch formulated with anti-aging marine-based collagen, combined with Green Tea, Aloe Vera and Vitamins A&E. An intensive under eye treatment to nourish and increase elasticity and firmness. PDO Thread Lift is coming to Cygnini Clinic!